India’s current account deficit may widen because of money outflows, says Finance Minister Palaniappan Chidambaram. India’s March quarter current account deficit was $18.1 billion, or 3.6 per cent of GDP, below the $21.7 billion deficit a year earlier, the Reserve Bank of India said. The finance minister said earlier in the week that the fundamentals of the economy were intact and the government is moving ahead on the reforms path. The minister also said the government will take a call on revising the FDI caps in different sectors in the second or third week of July. “Among the large emerging economies, we are the fastest growing economies next only to China and therefore I am confident that money will flow back into India. Investors will find India a safe destination to invest. And this temporary phase should pass. There is no need for pessimism”, Chidambaram told reporters in New Delhi. “Between January and May alone, I think a little over USD five billion flowed into India. (But) following Bernanke’s statement, USD five billion flowed out of India in a matter of two weeks. This is unfortunate”, he said. 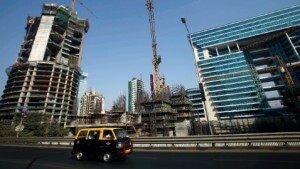 Chidambaram has asserted that India’s outlook is stable in a bid to calm investor sentiment. “Nothing has changed in the fundamentals of the economy. Whatever its strengths, weaknesses, nothing changed in the 20 days of June. Yet money has flowed out… My appeal to investors is (that) the Indian economy is not any weaker after Bernanke’s statement…nor was it weaker just before Bernanke’s statement,” said the finance mininster.